The wine that deserves to be at the very top of white wines that come from the Croatian south and will compete with many world-renowned white wines. With controlled fermentation with selected yeasts its characteristic varietal aromas are preserved. 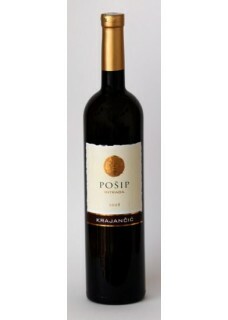 It is of straw-like yellow colour with sparkling greenish reflections.It leaves a relatively dry taste on the palate with a hint of acidity which is unusual for Dalmatian whites, there is an occurrence of fresh fruit, especially fresh apple and elderberry combined with spicy nuances of vanilla and cinnamon.